This fresh cheese is made from milk from cows grazing every day on Frisian grounds. 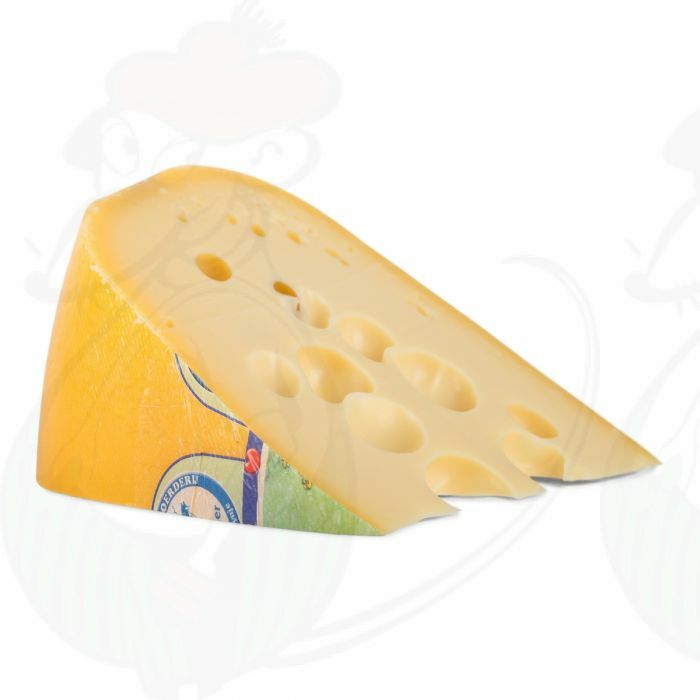 But this cheese also flirts with the Swiss alps, giving it a nice and smoot flavour. Tynjetaler is an award-winning farm cheese, mature and with a creamy and slightly sweet taste to it. Tynjetaler is a farm cheese, produced in the Northern Dutch provice of Friesland. This fresh cheese is made from milk from cows grazing every day on Frisian grounds. But this cheese also flirts with the Swiss alps, giving it a nice and smoot flavour. Tynjetaler is an award-winning farm cheese, mature and with a creamy and slightly sweet taste to it. Leaving a pleasant, slightly pithy aftertaste on your tongue. It is an excellent cheese to put on your bread, but can also be eaten well just the way it is. This farmers cheese is very suitable for a nice cheese platter with a range of different cheeses, where the soft flavour comes into its own. With a nice full and creamy character, the Tynjetaler cheese forms a very good basis for a cheese fondue. Enjoy the melted cheese with bread, meat or vegetables and a nice glass of white wine.